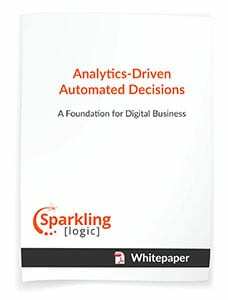 Automated decisions are at the heart of your processes and systems – driving your interactions with customers, managing risk and fraud, ensuring compliance, and dynamically defining, configuring and pricing your products and services. SMARTS Decision Manager automates the critical business decisions that drive your daily operations and provides the foundation you need for your digital business initiatives. Read our white paper to learn more about SMARTS Decision Manager’s unique features and how you can automate and continuously improve your operational decisions.